“Scum” is a song by American rapper and singer, 6IX9INE. 6IX9INE was arrested in November 2018 on racketeering and firearm charges, among others, for which he is facing a possible life sentence in federal prison. 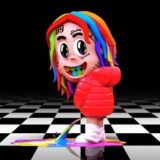 In early 2018, 6IX9INE released his debut mixtape, Day69, which debuted at number 4 on the Billboard 200 album chart. 6IX9INE later earned his first top-five entry on the Billboard Hot 100 with “Fefe“, featuring Nicki Minaj and Murda Beatz, which peaked at number three on the chart. 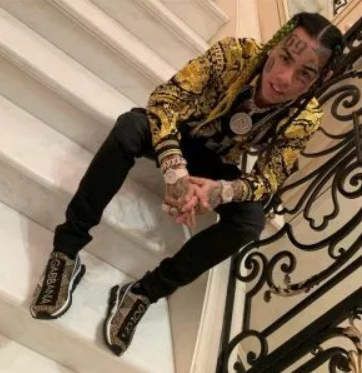 His debut studio album, Dummy Boy, was released on November 27, 2018, after being delayed a week earlier due to his arrest, and debuted at number two on the Billboard 200 chart. Recently, he has been featured on songs like “Swervin” by A Boogie Wit Da Hoodie. 6IX9INE’s recent project incorporates tracks like “KANGA” featuring Kanye West, “Mala” featuring Anuel AA, “Wondo“, “Mama” and so on.